In the deliberation of citizenship legislation, is there some other factor of such importance which limits equal human rights for all parents and children or overrides the child-parent relationship from which may lead to situations where a parent and a child cannot share the same nationality at the birth of the child and where the child might find itself stateless? If there is, then we should worry. Based on the complexity of acquiring US citizenship, with all its law amendments and provisions, this may happen. And this is what makes Mr. Steven Robert Kane, a US citizen currently present here in the Philippines with his son, Steven Joseph Kane, a one-year old boy and his dearest son’s mother Josephine Flores Pangasian, worried. As any parent should be, one is proud of his/her nationality that he/she wanted to pass it on to his/her descendants. True to this, Mr. Kane desires to transmit his US Citizenship to his son so that the child may able to enjoy the State’s privileges given to its nationals, to own and reside in the US, and to have an opportunity to love and serve his beloved state. That the child may not be stateless and may exercise his innate rights just what his father gladly did. Now comes is the application process in which Mr. Kane had greatly contributed to his son’s application. It highlighted on his growing impatience that he cannot just sit and wait for months for his son’s US Passport to arrive. As his son, Steven Joseph was born under the Child Citizen Act of 2000 which was in effect on the year 2001, one of its provisions is for the father to achieve the required physical presence in the US or in its outlying possessions for at least five (5) years in which two (2) years of it may be after his fourteenth (14th) birthday. Now if you think, it is easy for Mr. Kane for he is a citizen of the US, then think again. Mr. Kane’s case added to the complexity of acquiring US citizenship. You may ask why. 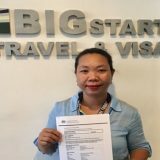 You may not find it complex, but is it not complex for a US citizen who is residing permanently in Australia and yet wanted to transmit his US citizenship to his son? 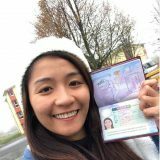 Granted, it’s true that residing permanently in Australia, in which you are not a citizen, has properties in the Commonwealth of Australia, a US citizen’s nationality is still not affected. To add more, Mr. Kane may pledge his loyalty for his country and that he, for once, did not denounce his US nationality, still the US Government will find it hard to believe his statement. For who will believe Mr. Kane when during his time, working overseas, entering various countries and going home in the US were not consecutively stamped on his US Passport as proof of his entry or exits, as it was the proper security practice today? There is no proof of enough documentation of his travels especially his stays in the US to procure his physical presence requirement. Aside from his saved certification, even just simple narratives which he intelligently done in the past which records his travels; he had nothing to show to strengthen his son’s application. As we started to think we’re losing hopes, Mr. Kane went to the office one day, with sullen face and dropped shoulders. He said, he has something to show us. Thinking it’s another bad news, we never overreact. Yet we indulged him. You know what he showed to us? It is no other than, his son’s US Passport! The application was granted and that his son is acknowledged and be lawfully admitted into the United States as a non-immigrant upon entry as the primary step for his naturalization. Indeed, Mr. Kane did have proofs of faithful and responsible appearances in his beloved State that made his son’s passport to arrive. 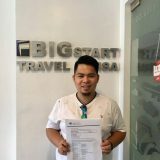 http://www.bigstartvisa.com/us-citizenship-permanent-resident-us-passport-bigstart-visa-assistance-usa-australia/The proofs were his records in the IRS (Internal Revenue Services) which is the United States government agency who’s tasked with collecting yearly state and income tax from working residents and businesses and even those who worked in foreign land. He was able to get his record travels, reflecting the date of his travels, the time and especially the countries or states he visited and/or worked with, which provide him proofs for the embassy showing that he indeed achieved the required physical presence in the US for his son’s US Citizenship application. Good thing, really, Mr. Kane was a good taxpayer. We are more than excited for them to enter US and that little Steven Joseph may warmly welcomed by his beloved state- the USA.